There are 42 reviews of Legend . How far have we come that something like Montblanc Legend (2011) feels retro pop culture in the 2010's? Ironically, sniffing Legend also proves to be a good blind litmus test for someone claiming to tell new and old scents apart based on smell alone, because most of its design aesthetic is taken straight from the 1990's even though it was released some 20 years after and uses some modern ingredients to achieve the desired effect. Reactions to sampling Montblanc Legend are rather mixed among the male "tastemakers" and "know-it-alls" of the perfume hobbyist blogsphere: older guys who have so blissfully ignored the development of mainstream masculine perfume since tunneling into their own niche tastes in the 90's, that they harbor a disdainful sentiment that is in turn echoed by their readership. The very debate over whether Montblanc Legend is another example of modern trash is one of the most damning pieces of evidence available that a lot of longtime "fragheads" have stopped exploring, yet still hold the gavel over popular consensus within their own respective microcosms online, or else they'd know that this isn't a very modern scent. Love or hate Montblanc Legend, it is a very 90's (and early 2000's) kind of "fresh fougère" fragrance, with the only sign of modernity coming from it being that perfumer Olivier Pescheux was strangled by IFRA regulations, which were newly-minted at the time. That being said, I can see the derision from some that Legend is rather generic in style, since there was very little cutting-edge about the fresh fougère to begin with even in the 90's, since it mostly used clever aromachemical tricks to lift the fougère accord out of the musky and aromatic rut it had been in since the 70's up until that point. 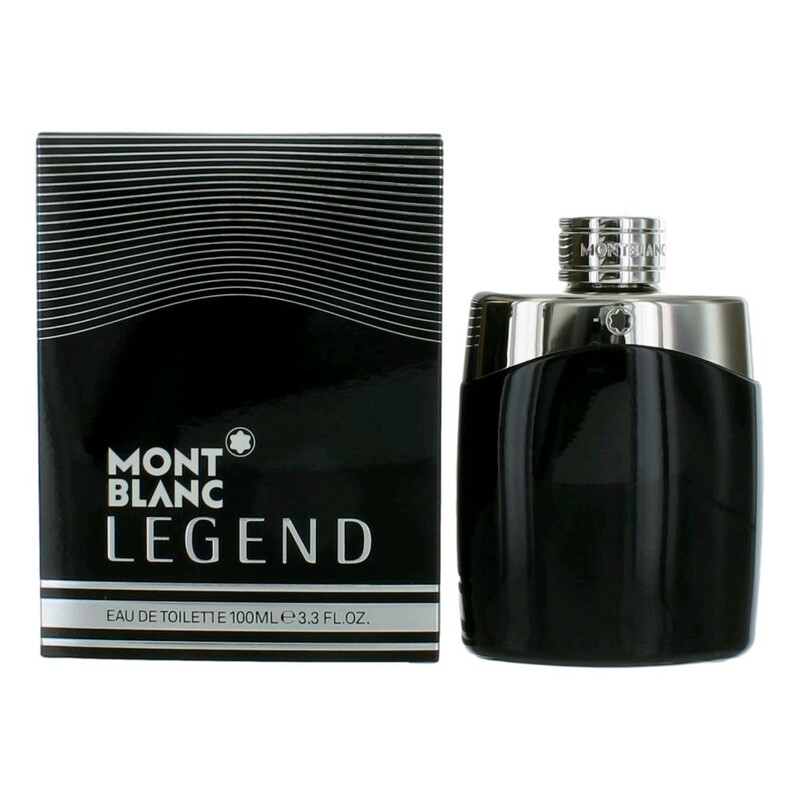 Montblanc Legend smells like a cross between Liz Claiborne Curve for Men (1996), Paco Rabanne XS Pour Homme (1993), and Creed Himalaya (2002), but underneath has an augmented version of the base that powers most 2000's Axe body sprays. This might seem like a nightmare of Walmart health and beauty aisle generic oversprayed "clean and groomed" masculinity, but hold that thought just a moment. The scent opens with bergamot, verbena, lavandin, and good old calone 1951. Yep, that melon-like chemical which powered everything in the 90's is back from the dead in Montblanc Legend, and it helps mimic a pineapple note almost like Legend is trying to be a poor man's Creed Aventus (2010). The similarity to Aventus is only minuscule, because the spiky, slightly minty lavandin sets the fougère tone and steers away from the mostly-floral one of the Creed. The heart is a blitzkrieg of fruit notes also reminiscent of the 90's "Beige Age" when everything had an apple or geranium note in it, and what do you know? Montblanc Legend has both apple and geranium in it's heart! Folks may recall Burberry for Men (1995) or even Tommy by Tommy Hilfiger (1994) having a similar apple in them, and the Pomarosa molecule is mostly to blame for all the fruitiness. Supposedly there is also rose here but I can't tell. There's a sliver of real oakmoss as still allowed by IFRA in the heart instead of in the base, because the base uses evernyl or "Veramoss" substitute to plug up the rest. For those not familiar with that aromachemical, it's what replaces most of the oakmoss past what's still allowed in the modern formulations of most older fougères and chypres still on the market, but doesn't have the same diffusive softness or semi-sweet pasty richness of the real thing, making newer batches of most older fougères feel soapier as a result. 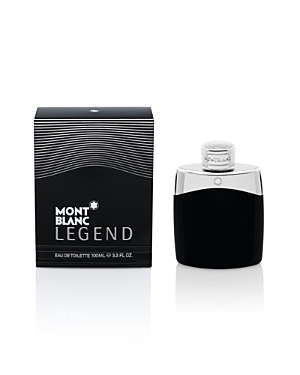 In Montblanc Legend, this soapiness works to the advantage of the scent, as the rest of it was built with the aromachemical limitation in mind, adding more hay-like coumarin and a decently warm sandalwood compound that helps to put back some of the rich, diffuse qualities lost by the moss restriction. The cool medicinal lavandin and the late-wear soapiness is really what's to blame for the Axe spray vibes, but maybe this populist tone was intentional after the modern oriental esoterica of the Pierre Bourdon-penned Montblanc Individuel (2003). Wear time is good at over 8 hours, and this is really nothing more than an office casual kind of fragrance, but can work anywhere in a pinch if you dig the 90's/early 2000's vibe. Montblanc Legend carries a style that will resonate with most male millennials or the trailing end of Generation X born before 1982. just not to any guy who turned 30 before 1991, or graduated high school in 2010 and afterwards. Simply put, if you were a teenager from a middle-income family in the 90's and then a twenty-something in the 2000's, you are a prime candidate to appreciate if not actually enjoy what Montblanc Legend brings to the table. But, if 2010's "ambroxanbombs" or 1970's/1980's aromatic/animalic powerhouses are your generation's "jus du jour", this will be lost on you; it's really that simple. I'm sure there are also plenty of guys who will smell this and like the way it develops without having all that historical context in mind, just as there are the aforementioned guys who dismiss it as more modern dreck without really analyzing Legend's contents, since they mostly ignored the era of perfume this seeks to romanticize anyway. As I said before, colognoisseurs who long tuned out of this segment of the market to stay in their generational lane, or who moved onto artisinal things will have forgotten that they've smelled this before, because you can't reasonably expect somebody to pay attention to a scene they've moved on from, but if the 90's into the early 2000's was YOUR decade, there is potentially a lot to love here. The best part is you can wear this in place of Curve, Lucky You for Men (2000), or your old favorite Axe variety, and catch the same comfortable vibe while saving the embarrassment of telling somebody what you're wearing if they like it and ask. Thumbs up from me, but with the caveat that this is an odd homage to a period of perfumery that was intentionally "nothing special", and won't deliver any surprises or interesting quirks. I wouldn't put this at the top of any lists, but I'd also be perfectly content wearing it, for what it's worth. 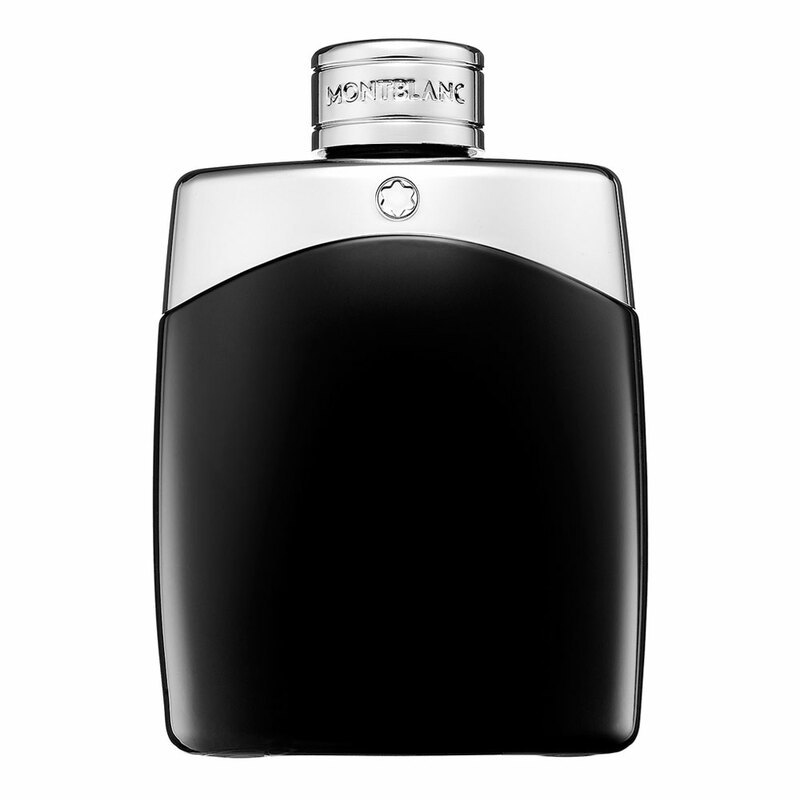 Montblanc isn't exactly known for their high-concept perfume art to begin with, and although I can totally understand the 90's influences flying over the heads of most since it was a dark time for masculine perfumes from a creativity perspective, this isn't half as synthetic or uncouth as some of the vitriol I've read on it. I agree with the consensus that this is a very generic scent, but even though it is generic I find it very pleasant. It's very clean, masculine, and fresh. Great scent if you don’t know what to buy for a man. It’s generic enough, with some original touch. poor longevity and sillage...generic scent and nice but no lasting power on me after 10 sprays!!! !